Being one of the firsts, Bachpan offers e-learning solutions in the preschool segment for the little toddlers to learn in a better manner. The content of our books is completely mapped at all levels of Bachpan covering all the subjects. Our content is vibrant and interactive with high definition visuals in 3D for a beautiful narrative, explanation, and abundance of activities for practice. These are some of the UPS’s entailing the Prismart e-learning content. Prismart has been created by our Smart Content Partner, GELS. 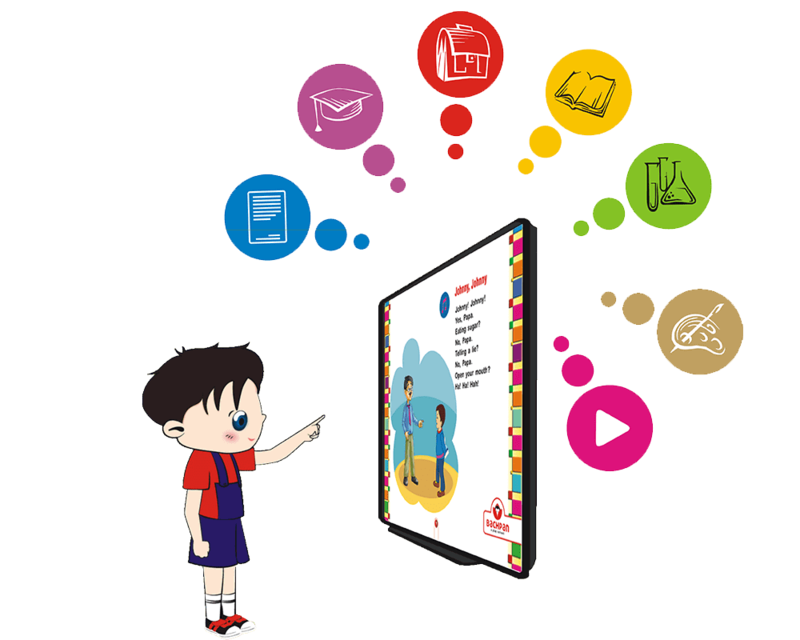 Prismart is customized, digital learning for Bachpanites. It helps to render learning and teaching in the most entertaining, magical and fun-filled manner. Prismart has formulated a wonderful and impressionable experience for everyone at Bachpan! Bachpan play school instils a spirit of joy and fervour in children for learning new things and outshine in the competitive world. Being one of the most renowned nursery schools, Bachpan has all that a growing toddler needs to complete his early education!